Some dogs have more fight in them than others. 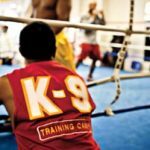 While Motown has been beaten up lately, Detroit-ers of all stripes would do well to take a close look at a native son who’s recently emerged as a paradigm of unadulterated, scrap-metal-tough determination: Newly crowned world junior middleweight champ Cornelius “K-9” Bundrage. 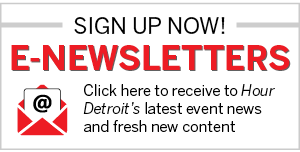 Consider: Bundrage, 37, grew up in the rough Southwest Detroit neighborhood around the Kronk Gym. He never met his father. His mother’s boyfriend sold drugs. When he was little, thieves broke into his house, held him over a pot of boiling water on the stove, and threatened to dunk him if his mother didn’t give them everything. (She did.) Later, he sold drugs — not the “hard stuff.” He was shot at close range with a .357 but “zigzagged’ his way to safety. He was expelled from school in the ninth grade. And — he’s short. That’s not all. 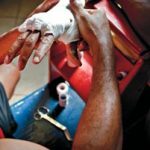 Boxing is filled with stories of reformed rough guys made good — although Bundrage’s hardscrabble story is sensational even by those grim standards. But beyond that, his boxing career, for years, didn’t look like anything special. 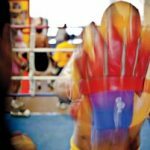 He had a whopping dozen or so amateur fights, winning the Golden Gloves twice and the Diamond Gloves, before turning pro at 21, an age when the sport’s blue-chip prospects generally log a few hundred. Not surprisingly, promoters weren’t beating down the door to sign him. So he jumped from shady manager to shady manager, his career going nowhere. He learned on the job. He slogged away at day gigs while trying to get fights. 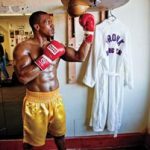 And when he finally, after 15 years of paying his dues, got a title shot last summer — shipped to St. Louis to serve as a foil for rebounding boxing royalty Cory Spinks, son of former heavyweight world champion Leon Spinks — Bundrage was 36. That’s old for an athlete. For a fighter, it’s George Burns-ian. Despite such potentially insurmountable obstacles, how did it come to be that, last August, Bundrage found himself standing over the demolished Spinks in the fifth round, crowned the new IBF junior middleweight champion of the world? And the first homegrown Detroit world champion in 26 years? Bundrage, who lives in Detroit with his wife, Shawana, and sons Dai’Shaun and Omnae, cites three factors: His faith as a born-again Christian, a stellar work ethic, and the help of renowned Kronk trainer Javan “Sugar” Hill, who took Bundrage under his wing midway through his pro career. It was a wild path to the top, even by boxing standards. 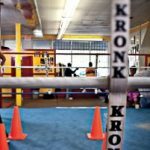 Although he started fighting when he was 11, Bundrage was in the gym only sporadically, lured out of the Kronk, where he once watched his idols Tommy Hearns and Gerald McClellan train, by the streets. “Boxing was hard; the streets were easy,” he says. 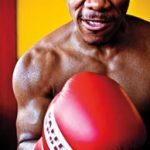 He returned to the gym seriously when he was 18 and turned pro three years later, but couldn’t get many fights, boxing only sporadically throughout the ’90s. The stops and starts proved to be a blessing, however. Though the powerful Bundrage was always a formidable physical specimen (he’s done 1,000 push-ups a day since he was 11), as a fighter, he was raw, learning mostly from watching classic fight videos. Burning clean and pure, training like a maniac — sparring up to 20 rounds a day, running nine to 10 miles, still doing his 1,000 push-up regimen — Bundrage, who fights with the Kronk-patented low left hand to lure suckers in, and then knocks them silly with a fearsome right, chalked up 21 wins when fate called in 2006. He was cast on the Mark Burnett-, Sylvester Stallone-, and Ray Leonard-backed boxing reality show The Contender. 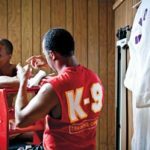 From there, the Cornelius “K-9” Bundrage story is more or less a conventional tale of a contender made good. Even with the powerful Steward as his manager these days, he’s been, as they say in the biz, “put in hard” — having few easy fights, unlike the network- and high-powered promoter-backed blue-chip TV darlings. He’s won most of his fights since then, and lost a few. Then came the life-changing title shot and another underdog victory over Spinks. It’s hard to say what’s next. Like all men in his position, Bundrage is looking for a big-money fight. But one thing can’t be doubted: Bundrage has earned every single thing he’s got.